If utilities offered their customers solar energy and took advantage of supercapacitor-based energy storage, we could significantly cut greenhouse-gas emissions. That’s the word from Omer Ghani, CEO and co-founder, Kilowatt Labs, which produces supercapacitor-based energy storage called Sirius Energy Storage and the Centauri Energy Server, designed to manage distributed energy. “I think the transition toward a lower greenhouse gas number from the utility industry is the microgrid way,” he says. His view: Utilities should offer their customers rooftop or other forms of onsite solar equipped with supercapacitor-based energy storage, plus a unique energy server that would manage the solar plus storage. In essence, each home would have its own microgrid. “The real way to provide deep penetrations of renewable energy, especially on rooftops, is at the customers’ sites with non-wires alternatives,” he says. This strategy would help utilities meet renewable portfolio standards and also avoid demand-response programs and debates about net metering, he says. Utilities would earn revenue from the systems. “The way the economics work, utilities can charge a given amount and earn a return on the systems installed on homes,” he says. Here’s how it might look: Utilities would install and own solar PV on the appropriate customers’ roofs and charge the customers a set amount, say 25 cents/kWh. Or they might offer monthly fixed-payment plans. “There are many financial structures available that work both for the utility as well as the homeowner,” he says. The systems would be designed to generate most of the needed power from solar PV, so would reduce the need for utility demand response and net metering. A home’s peak demand would be met by either the PV array directly or from the storage — if the peak occurs in the evening —and if the server is able to handle all instant surge/peak/starting power in the house without the support of the grid, Ghani says. Join us at Microgrid 2018 where Kilowatt Lab’s Omer Ghani will participate in a leadership panel on next steps for the microgrid industry. Seats are filling fast for the May 7-9 event in Chicago. Register here. To comprehend how this would all work, it’s important to understand supercapacitor-based energy storage — a storage system that’s already been tested and applied. Kilowatt Labs now has a number of systems up and running, and has shipped 1.5 MWh of its storage devices through a network of global distributors, says Ghani. What’s more, a humanitarian aid arm of the United Nations is looking at a proposal from the company for its storage and server at 350 possible microgrid sites that would replace “bad grid, no grid” systems that now use diesel. Kilowatt Labs has been actively involved in that project. “We helped design the concept. We can’t say we won the tender, but we are strongly positioned,” says Ghani. The company also was granted a request to add supercapacitor-based energy storage as a storage option under California’s Self-Generation Incentive Program. And the company is developing a microgrid for a mine in South Africa that’s located at a 3,000-meter elevation and has power reliability challenges. Lightening strikes trip the power supply and shut the mine down. In addition, under a few small pilot programs, a few US utilities have issued purchase orders for Kilowatt Lab’s storage for use or testing in microgrids, says Ghani. 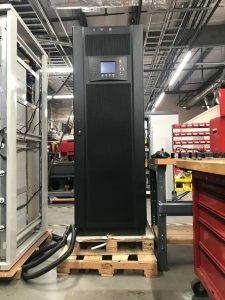 Kilowatt Labs’ supercapacitor-based energy storage is unique because it doesn’t use chemical cells such as lead acid and lithium ion, and therefore avoids the challenges associated with them. “A chemical battery stores energy chemically; it has a chemical electrolyte. When you charge it, you convert electrical energy into chemical energy, stored in the battery’s electrolyte,” he explained. Discharging the battery involves a reverse chemical reaction. But the chemical reactions create problems, including degradation of the battery’s capacity over time, and too much heat at times — which can degrade the battery and also lead to thermal runaway. And chemical batteries have restrictions on how much they can be discharged, and limited life cycles, which makes it hard for utilities to consider them as long-term assets on customer sites. Supercapacitor-based energy storage, on the other hand, is much simpler. This technology stores energy on the surface of the electrolyte, which means there is no chemical reaction. “Electrical energy comes in and is stored as electrical energy. It releases electrical energy back into electricity when discharged,” Ghani explained. 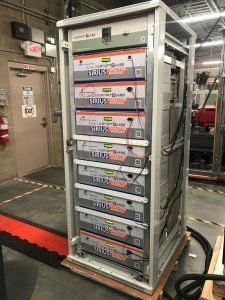 Still supercapacitor-based energy storage hasn’t been used before because it has its own challenges, which Ghani says Kilowatt Labs has overcome. Each cell is low voltage — 2.4 volts — which means that a number of the cells must be connected in series for commercial applications. Those cells then need to be balanced, which is complicated. Second, supercapacitor-based storage tends to dump electricity and discharge quickly. And third, their energy density is low. The supercapacitor-based storage boasts a cycle life of 1 million cycles, as opposed to battery cycle life of 4,000 to 5,000 cycles, he says. “Our supercapacitor-based storage has no chemical reaction for storage, and extremely high round-trip efficiency, which stays the same throughout the cycle life; there’s nothing to degrade.” All electronics are on the surface, and there’s no chemical reaction. In addition, the capacity of the storage devices doesn’t degrade. 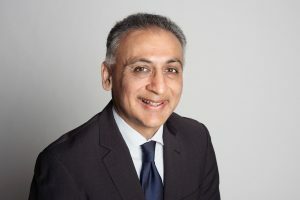 “Now, having addressed these problems, we can use supercapacitors as a storage media that delivers the same performance attributes as a battery, but has advantages over the battery,” says Ghani. The cost of the supercapacitor-based storage is slightly higher than the cost of lithium ion on a per-kWh basis, says Ghani. The company expects to its product to become competitive with lithium ion prices very soon. The supercapacitor-based storage’s advantages over lithium-ion batteries means it’s more cost-effective. “We use 100 percent of the capacity. We don’t have to oversize the supercapacitor-based storage,” Ghani says. Chemical batteries, on the other hand, use less capacity and degrade more over the years, so are oversized. “What you start off with has nothing to do with what you end up with. You can’t compare the technologies using dollars per kWh,” says Ghani. Supercapacitor-based energy storage could help utilities meet Ghani’s vision of installing and owning customer-sited solar power. So would Kilowatt Labs’ energy server, which aims to integrate distributed energy. It can be used by numerous entities, including customers outfitted by their utilities with solar plus supercapacitor-based storage. Generally, distributed energy integration involves hardware systems such as inverters, charge controllers and generators. Software is also important. “You have a software layer, microgrid controllers, switching devices and all kinds of ways of putting this together,” explains Ghani. Kilowatt Labs’ energy server is a power electronics platform — hardware that has software built into it. “You put everything into the server, it has software built into it, and it provides an output, all in one machine,” he says. The energy server was developed by the company’s inventor to address the many challenges associated with integrating distributed energy. While PV can be installed anywhere, without the need for wires — especially if it’s paired with storage — its applications are limited by power electronics, Ghani explains. “When you generate energy using solar power, and you use this energy to supply a circuit — a home or factory or office — independently, then the power electronics have to handle a lot of things,” Ghani says. Motors, compressors, refrigerators and pumps operating on the circuit start and stop during the day, and they draw surge current, the maximal instantaneous input current, each time they start. Their surge currents can vary widely, ranging from 100 percent of their rated capacity to 1,000 percent, lasting milliseconds to a few seconds. The power electronics must be able to handle these surge currents. One way to address this is by over-sizing equipment, which is inefficient and uneconomical. “The internal architecture of our server enables it to handle 1,000 percent of its rated capacity for two seconds, without oversizing, thereby efficiently and economically handling these instantaneous loads,” he says. What’s more, generally PV is available about five hours a day. In order to provide power for 24 hours, with no grid or gunset, systems must generate in five hours enough energy for 24 hours. “In order to do that, the power electronics need to handle high levels of PV input. It’s inefficient and expensive to oversize and most systems resort to adding diesel generator. Our server can handle five to 8 times the PV without oversizing,” says Ghani. “Let’s say you have a 100-kW server, determined by the load rating, but need 500 kW to generate enough PV for the whole day. You can connect 500 kW to a 100-kW server. Now you can generate enough electricity for 24 hours and handle surge currents without oversizing,” he explains. The server connects to the PV and storage, Ghani says. “So now you have plug-and-play system that can handle the load independently, charge the storage from solar, handle intermittency and provide stable and resilient power to the customer 24 hours a day. The first thing the server does is feed the load, and if with the excess energy, it charges the storage while running the load.” The server solves intermittency problems by seamlessly switching functionality, using solar or storage when needed. With the server, PV systems can use the grid as backup. “If PV does 80 percent, the server can bring in 20 percent, or will charge the storage and let storage do the rest,” says Ghani. The grid would be connected to the server as an input source. The server would draw grid power to charge the storage on cloudy days. Depending on the location and sunshine, the amount drawn would vary from 5 percent to 15 percent of the time, he says. The server also has the ability to feed power to the grid, if, for example, the homeowner is on vacation and wants to provide power into the grid and earn income, he notes. These technologies can help expand the use of solar energy more quickly and efficiently — especially if utilities provide them for their customers, Ghani says. “One of the biggest costs of solar in America is customers’ acquisition costs. Utilities have customers. Why fight them; go to them,” he says. 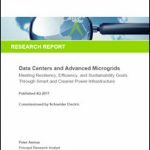 Learn more about energy storage by subscribing to the Microgrid Knowledge newsletter. It’s free. Now it looks like we’re truly getting somewhere – and it also looks like there are many companies working on this. I think this is the future of solar energy,The use of controlled switching to get the right voltage and amperage is a plus for a high discharge capacitor.Is the technology available in the NY area and are you looking for distributers?Currently,I use lead crystal and OPZv batteries for some of my applications.Can the discharge curve be consistent for 24 hrs after the solar day,if the storage is calculated right? I believe the super capacitor based storage system is the future replacement of conventional batteries. It will take time to develop as PV panels took long time due to initial cost and ROI. As the automobile industry is rapidly shifting to hybrid cars therefore super capacitors based batteries having advantage of low weight will support this shifting. In future DC based appliances will make big revolution.